3748 Country Club Dr #C, Birmingham, AL.| MLS# 832219 | Richard Jacks UABLIVING.com 205-910-2297 | Birmingham AL Real Estate | Contact us to request more information about our Homes for Sale in the Birmingham AL area. Lenox Condominiums rarely come on the market, and this second floor, two bedroom and two bath home is pristine! 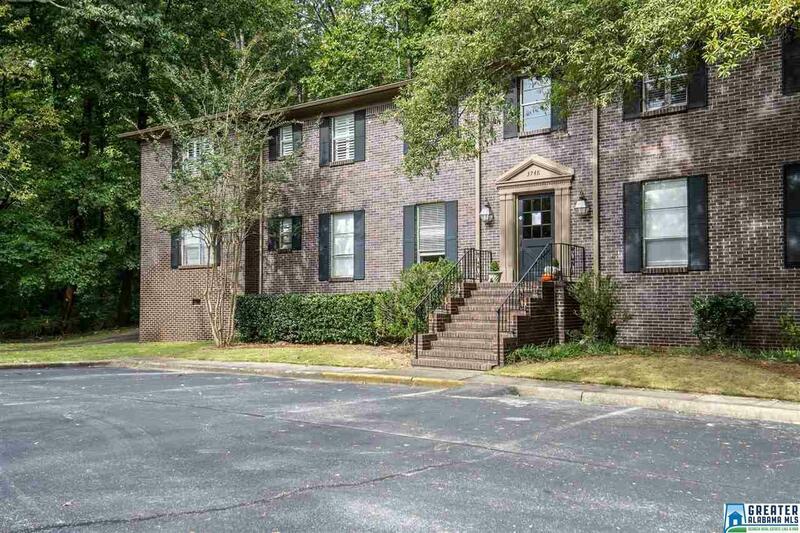 It has beautiful hardwood floors, crown molding, plantation shutters, a living room, a dining room, an eat-in kitchen, a full-size laundry closet and great closet space you won&apos;t find in other condos! Both bedrooms are large, have double-door closets and lots of natural light. There are two more hall closets with excellent storage space, and this condo features a 10&apos; x 12&apos; basement storage unit. The grounds are lush and beautiful, perfect for off-street strolls in a dog-friendly community. What&apos;s more, it is in a highly desirable location - walking distance to English Village and only a quick drive to downtown, Highland Park, Crestline, restaurants, shopping, and entertainment!